A cooking range serves as the workhorse of the kitchen and if it stylish then it would definitely be the centerpiece as well. Making the choice between an electric cooking range and a gas cooking range is something that is largely determined by what you actually have. The gas ranges generally require their users to have either propane or natural gas serve at their homes while the electric ranges work in all homes, provided the users have 220-volt electricity line and an outlet. Electricians would be the best professionals to consult when it comes to installing electric cooking ranges. If you are looking to give your kitchen a completely new appearance then go for cooking ranges that perfectly suit its interiors and offer great functionality at the same time. If you are planning to make a move from using a gas cooking range to an electric cooking range then you must definitely make the right choice. Same goes for individuals who are looking to upgrade to dual-fuel pro-style cooking ranges that partner electric ovens with gas burners and need both electrical and standard gas connections. What if though dishwasher in your kitchen goes out? You would have to do the dishes manually. The same goes for cooking range failures. Cooking range failures means microwave meals for the time till you get the product repaired. Ranges that come with a blend of stovetop and oven in one make for pretty versatile products as far as cooking is concerned. There are innumerable options available in this category and thus it is important for you to make the right decision. Experts are of the view that the Frigidaire Gallery Cooking Range is one of the best options for individuals who are in need of affordably-priced gas stoves. The product comes with all those features that you might need for cooking just about anything. It works reliably for several years and is considered one of the best cooking ranges that money can get. It is a classic-looking gas stove that speaks of a solid design and construction. And it comes with smooth-turning burner knobs and constant cooktop grates. 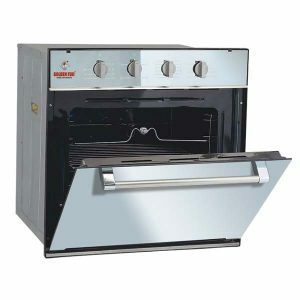 This is a free-standing gas cooking range that boasts of the most polished and sturdiest build of all the other models available in the market. It comes from Frigidaire- a brand that is known for providing reliable and durable kitchen appliances. This is something that would definitely bring the attention of the buyers towards this exclusive and performance-based cooking range. This is one product that comes with all significant cooking convenience including constant cast-iron grates on the five-burner cooktop and convection mode. The item also features a burner with stronger than average 18, 000 power. This is a 5 cubic feet oven that tends to be a little smaller in comparison to the other cooking ranges available at the same price as this but the difference lies in the fact that it offers a lot of space for a huge ham or turkey. This is one feature that makes it probably one of the best cooking ranges presently available in the market. This model from Whirpool is a reliable and cheap cooking range. You would not be able to find a more affordable gas stove that is actually as good as this one from Whirpool. It is surprisingly comfortable and versatile to prepare your meals on despite the underpowered cooktop and the restricted oven features. If you simply require an affordable cooking range that performs excellently then the Whirpool gas stove would be the best bet for you. It is the lowest-cost range that comes with some of the best features and great reviews. Most importantly, it comes from a brand that is known for its reliable products. The model comes with slightly better specifications in comparison to the other low-cost cooking ranges available in the market. It will help you get the best of meals on the table, all thanks to its powerful cooktop with several burners. This is a budget-friendly gas stove that tends to be pretty minuscule at 5.1 cubic feet. There are very few options available with this cooking range. There are just two shelves in a total of five positions and no number pad, no convection and no self-cleaning feature. Also there are two 15, 000 Btu burners that you will get with this model along with a 9, 500 Btu mid-power burner and a 5, 000 Btu low power burner. It is just the right gas stove for all those individuals who want to have dinner ready on the table within just a few minutes. It is a fully featured and one of the best cooking ranges that come with a good reliability record. 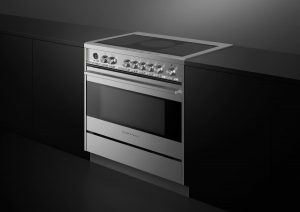 If you are looking for good value in the category of the best cooking ranges then the Samsung Gas Range with Convection Oven would be the right choice for you. You will get it in stainless steel finish and a modern appearance that will make your kitchen space look beautiful and graceful. It comes with some of the greatest features. The flexibility offered by this cooking range makes it one of the best cooking ranges for cooks in the family. Just like all the other fully-featured gas ranges, even this range from Samsung boasts of features like 5 burners with constant grates along with an oval burner for accommodating large-sized pans and pots. This model even features a griddle to be used on the centre burner. The burner for this product comes packed with extra features making it an easy choice amongst the buyers. It offers 5.8 cubic feet of oven space which is quite a good amount. It features self-cleaning and convection cooking technology. This is an affordably-priced gas range but the low price does not mean that there have been any compromises made on the style and the functionality of this product. You will surely love the spaciousness of this product along with the space that is available in its oven. Make the choice of the Samsung gas Range with Convection Oven for making the most out of your gas-powered cooking endeavors. This is a 30-inch gas cooking range that offers 5.0 cubic feet of oven space featuring five burners with convection cooking technology. The feature that sets this gas cooking range apart from the other best cooking ranges available in the market is its extra-large griddle that occupies the center cooktop. While the griddle concept itself is not exclusive to gas ranges, General Electric has specifically designed this cooking range to serve as a cooktop with edge-to-edge design. The cooktop has more space for a large griddle and for burners. As is the case with other cooktops, their users complain about the center burner too congested or the griddle being too small. These complaints are easily avoided by the GE Gas Range with Convection Oven. Its griddle is sized generously, all thanks to the large footprint of this cooking range. 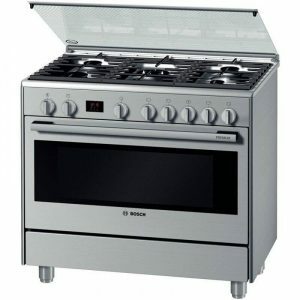 The GE gas range is a slightly smaller than the other top picks in the list of the best cooking ranges but it is better than the other similarly priced items. It gives you a lot of space for preparing meals and convection technology for baking evenly. The range is also available in four varied finishes for matching the décor theme of almost any kitchen. The finishes are white, black, stainless steel and slate. If you still cannot decide on what you would want then the round-up of the best cooking ranges will help you in finding what you are actually looking for. 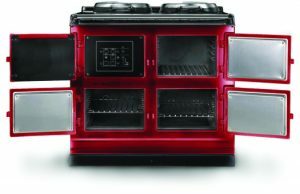 If you are a gourmet cook then the Thor Kitchen Freestanding Gas Range would be the right choice for you. This is one model that has the feel and the look of a range that is used in restaurants. Look no further than this gas cooking range model from Thor Kitchen if you want cooking range models that are stylish and have the capability of offering professional-grade cooking experience to all gourmet cooks. Cooking on this product will give you the experience of whipping up saucy finishes and fancy dinners in no time. This is all because of the high-powered BTU burners of this model. There is an 18, 000 BTU burner that you will get with this model along with a 15, 000 BTU burner and a couple of 1, 000 BTU burners. These are powerful burners exceeding the burner quality of majority of the entry-level gas cooking ranges and also the ones regarded as the best cooking ranges in the market. It offers 4.2 cubic feet of oven space thus providing enough room for different baking and roasting requirements. All gourmet cooks in the look out of gas ranges that fit the part of their high-end appliances and have the power of backing them up with impressive styling and value must go for the Thor Kitchen Freestanding Professional Style Gas Range. If you are short on the budget needed for buying the best cooking ranges though you are in need of a good performer in this category you can get some amazing results from the Whirlpool 5.1 Cubic Feet Gas Range. This gas range offers high heat and is available in stainless steel. Black and white finishes. It is a highly affordable cooking range that serves as one of the most popular choices for home cooks. One of the most value-added features of this cooking range from Whirlpool is the addition of a fifth burner. It is this feature that sets the model apart as one of the best budget-choice cooking ranges. Not all the cooking ranges available at this price have this extra fifth burner that offers great convenience and flexibility when cooking meals with different components. For the ones who want a second choice in the category of best budget gas ranges, the 4.8 cubic feet free standing gas range from General Electric would be the perfect choice. This is a straightforward cooking range that offers users the convenience of a gas cooktop along with a traditional oven that offers sufficient space for weekend entertainment and everyday meals. This affordable cooking range comes with a total of four burners and offers 5, 000 BTU precise simmer setting that helps the users in achieving low and consistent heat. It is undoubtedly the best pick in the category of the best cooking ranges available within a range that can easily be afforded. The Amana Gas Range is one that you must definitely get if you want a compact-sized cooking range that does not take up much space in the kitchen. There is no other cooking range in the same size as efficient as the Amana Gas Range. Offerings around 2.6 cubic feet of oven space and with a total of four burners, this cooking range is one of the best choices that can still keep up with all your cooking requirements. Do not let the low process of the best cooking ranges fool you if you are not sure about the quality and the performance of the products. Always choose ranges that will offer you a good experience while cooking food in the kitchen.